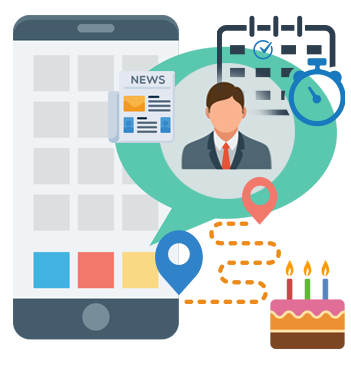 HRMTHREAD provides user with a cutting-edge employee benefits Mobile App with access to self-service tools, a document library and current news updates using the media of their choice. HRMTHREAD Mobile Apps are optimized to provide quick, easy access on tablets and phones. It Enables greater employee satisfaction & fuels productivity. Daily Attendace Mark-in & Mark-Out. Attendance with GPS Location tracking. Apply Leave for On Duty, Overt time, Attendance, where in HOD can approve such leaves on the GO. Employee can view their payslips details online. Reminders like Birthday / Anniversary etc. Suggestion / Notes by employees etc. We have been using EasyPAY for more than 8 years now, It has simplified our Payroll Process & MIS Reportings. On a click of a button we file all our Statutory Compliances of PF/ESIC/PT & Income Tax. This software is of great help to us. Payroll Processing for all our clients in time bound dates was a challenging job for us. It was a difficult for us to maintain it manually. This Software has all the required feature my company requires right from Payslips to Income Tax Form 16. Filing of PF/ESIC & Income Tax return was never so easy. Ms. Varsha , PCS Securities Pvt. Ltd.
Firstly i would like to thank the entire team of Sensys for their kind support & cooperation all the time we required. When there is a query/doubts we call your office & we just got the solution what we needed. Mr. Robin , Microworld Software Pvt. Ltd.
904, 905 & 906, Corporate Annexe, Sonawala Road, Goregaon East, Mumbai - Maharashtra 400063.